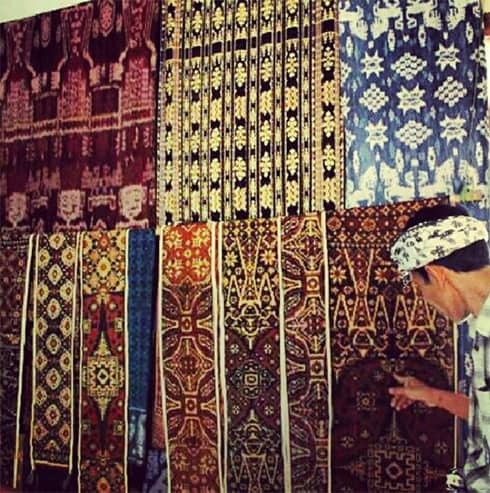 Double ikat is woven only in the Bali Aga village of Tenganan in Indonesia, Okinawa in Japan and Gujarat in India. Patience attains almost a state of grace in the hands of Tenganan village’s gringsing weavers. Each length of the sacred fabric also known as double ikat, demands six to eight years to be brought into being; preparing and tying in the motifs takes the better part of a year before the dyeing process begins. This takes from four to six years. The final act in its creation, the weaving, is a doddle, at around a month.